Amber is nature’s time capsule. This fossilised tree resin contains remnants of life on earth millions of years ago. This 93.87-gram piece contains a perfectly preserved cricket. It’s from GIA’s collection. 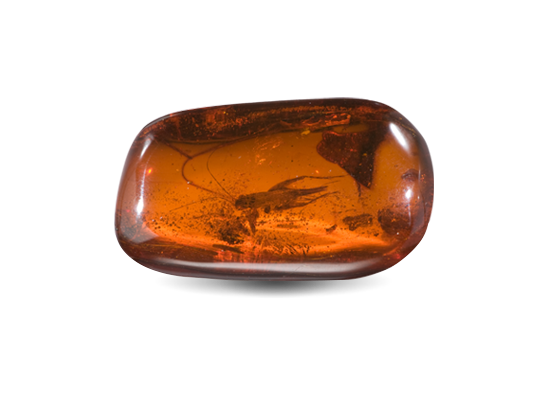 Amber pieces with inclusions are typically polished as free-form cabs. 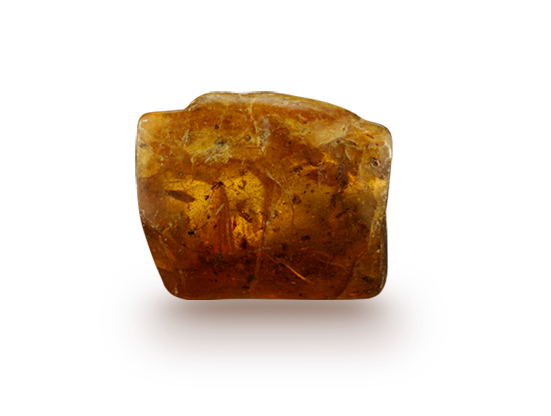 Amber is soft and displays resinous to vitreous polish lustre. This 8x6x4 cm chunk of Alaskan rough weighs 118.3 grams. This piece contains numerous insect inclusions, including a mosquito. Pieces with interesting inclusions fetch higher prices than those without.